What kind of materials will they be using? 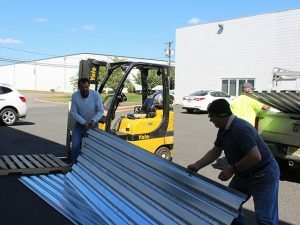 At S & S Roofing, we use only the best materials available. Whether you’re having a metal, EPDM, or modified bitumen roof installed, you can rest assured that we won’t unnecessarily cut costs where it’s most likely to have negative repercussions. We save you money by offering services that are done by hard-working professional roofers who know how to get their work done efficiently, and as quickly as is safely possible. We understand that having a new roof installed can be a hassle. 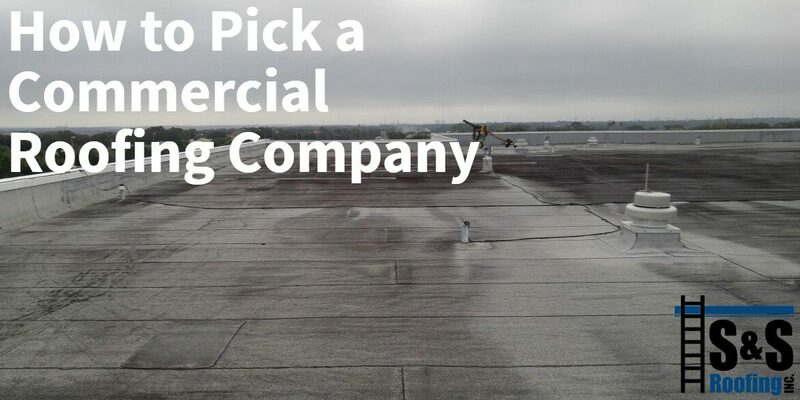 Since a flat roof is the last step in the structural construction of a building, it’s the last thing that needs to get done before you can start moving your business in. Or, if it’s an installation of a new roof over an existing roof, it means that your business, and your customers, have to deal with noise and extra traffic around your building. Because we value you and your business, we’ll do whatever it takes to minimize the negative effects our work might have. We’ll work overnights, early mornings, or whenever you’re closed, or off of peak hours. At a lot of roofing companies, once the work is done that’s the last time you’re likely to hear from them. But at S & S we understand how important it is to offer maintenance and inspection. By annually inspecting your roof you’re making sure that materials stay under warranty, and that any issues that may arise can be addressed in a timely manner at a much lower cost than dealing with catastrophic failures, or complete roof replacements. Because we’re experts in low-sloping roof construction, we know what to look for during inspections, and how to repair anything that we may find. 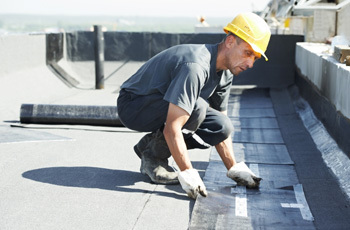 We’ve had decades of experience in the roofing business in New Jersey and up and down the east coast. We know how to do the best work for your office, warehouse, or church, and we’re certified to work on public buildings like schools. Call us today for a quote and more information about how we can help you.